I blinked in the brilliant sunlight and surveyed the summer-clad swimmers and boaters all around me. Friends had invited my husband and me out on their boat for the day, and we were surrounded by people enjoying the brilliant Sunday. Thoughts of religion seemed very far away. Yet I’d just received an important call, andThe whole idea seemed like a relic from another era now found myself discussing concepts of holiness and purity on the phone. That evening would be my first-ever visit to a mikvah (a Jewish ritual bath), and I’d arranged to speak with the mikvah attendant ahead of time. Looking at the sunbathers lounging all around me now, I imagined their shock if they knew what we were talking about. Before I’d ever visited a mikvah, I had a lot of misconceptions about this key Jewish commandment. Growing up secular, I’d heard some supposedly horrible stories about the Torah’s obligation for married women to visit the ritual bath and immerse each month. I’d heard that all mikvahs were filthy, that the women who staffed them were harsh and domineering, that visiting one was somehow a degrading experience. The whole idea seemed a relic from another era. Yet my husband and I were enjoying expanding our religious observance: we’d recently started keeping kosher and celebrating Shabbat. I knew that if we were going to be serious about keeping Jewish rules in our home, family purity had to be a part of that. Reluctantly, I’d phoned the attendant at our local mikvah and arranged an appointment. I knew that she was a rabbi’s wife and had a lot of kids, and wondered if she’d be dour and unpleasant. “I can’t wait to meet you!” a young voice trilled instead on the phone. She sounded so nice and so young. This was a mikvah attendant? Patiently, she went over all of the information, making the occasional joke, and spelled everything out so I’d know what to expect when I visited that evening. I began to feel reassured. Maybe it wouldn’t be as scary or odd as I’d feared. When I finally arrived at the mikvah that night, the attendant showed me into a private bathroom that was spacious and clean—a far cry from the horror stories I’d heard. She handed me a fluffy bathrobe, a pile of thick towels, and pointed to the shelves and cabinets, all full of toiletry items (and better stocked than my own bathroom at home). The plan was to take a bath, make sure I’d removed my jewelry, contact lenses, nail polish and anything else that could prevent me from coming into contact with the mikvah’s water fully, and then finally, immerse. Alone in the bathroom, I relished having some “me” time. When was the last time I was alone, with no obligations, and nothing to do except focus on myself? When I was ready, I called the attendant and she led me to the mikvah, a small jacuzzi-like pool. As I gazed into it, I thought of how Torah is compared to water; both are a source of life. A feeling of profound gratitude swept over me, as I thought of the daily miracle of water and life that I so often took for granted. The attendant turned away as I climbed down the tile steps, then watched to make sure that I was completely covered by the warm water as I immersed three times. After my first immersion, I recited a timeless blessing that generations of Jewish women have uttered for thousands of years, praising G‑d who has commanded us to immerse ourselves in living waters. As I prayed these words, I thought of all the Jewish women who had kept this mitzvah before me, and it suddenly struck me that I was a link in this powerful chain going back to the very dawn of Jewish history. I spent a few minutes alone in the special living waters of the mikvah, and found that I was able to pour my heart out in prayer in a way I’d never done at home or in the synagogue. The waters of the mikvah are meant to cleanse us not physically, but spiritually; in that moment, I felt more uplifted than I ever had before. Returning home that night, the feeling of being on a higher spiritual level made everything seem different. Judaism never tells us to withdraw from the world or deny ourselves earthly pleasures. Rather, we Jews are charged with transforming even the most mundane activities into vehicles for holiness. 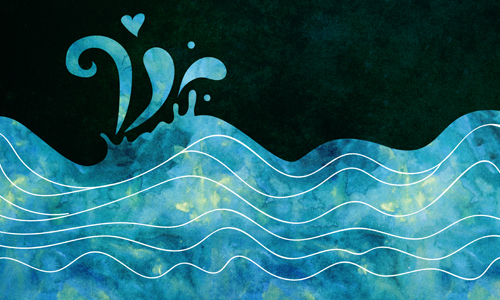 Visiting the mikvah turned the ordinary act of being with my husband into something that felt profoundly important, as we let Divine rules for living infuse this most intimate aspect of our lives. Since that long-ago summer’s day of my first visit, I’ve been to mikvahs all around the world. Built according to the sameJudaism never tells us to withdraw from the world Jewish plan, they have all seemed broadly familiar and welcoming, with a few differences. Visiting a Jerusalem mikvah one Rosh Chodesh (the first day of the new month), I was touched when the attendant offered me a bunch of sweet-smelling herbs to sniff, portending a sweet month to come. On another mikvah visit, the attendant told me she felt so privileged to help Jewish women perform this mitzvah. Once, I even visited a luxury mikvah, clad in custom marble, with impossibly thick luxurious bathrobes. I felt like I was in a high-end spa. Jewish women have always played a unique role in appreciating the Divine in our lives, and in building Jewish families. For me, visiting the mikvah is a way to remember and appreciate this unique role we have played throughout our history, and today, in bringing holiness and the Divine into our everyday lives. I can’t believe that there was ever a time when visiting a mikvah sounded strange or scary, or somehow seemed not relevant to modern life. Today, renewing my relationship with G‑d—and strengthening my relationship with my husband—is my most important accomplishment each month, and I can’t imagine life without the regular punctuation of moments given to intense spirituality in the mikvah. This is a lovely article and I smiled when, after your initial apprehension of attending a mikvah, you related your experiences of attending other mikveh's.